Survival shooter PlayerUnknown’s Battlegrounds is massively popular, but because it’s in early access, it’s not exactly polished. That makes it ripe for mythmaking. Can you block infinite crossbow bolts with a frying pan? Can you punch someone out of a moving car? The answers to both are yes, according to a new YouTube video by myth-busting channel DefendTheHouse. 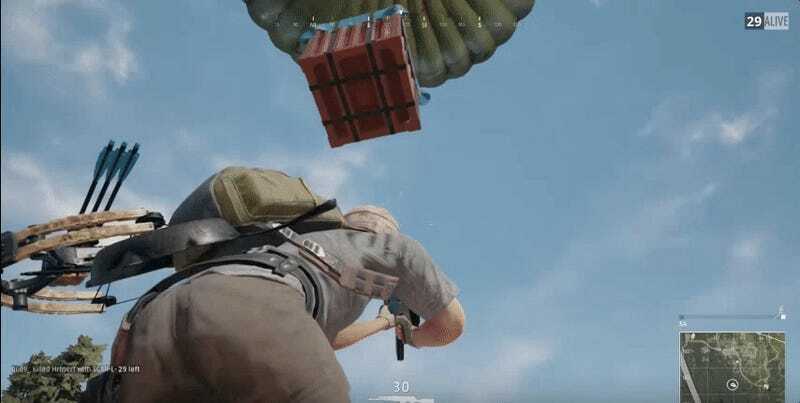 In the video, DefendTheHouse tests several Battlegrounds myths, including trying to shoot grenades out of other players’ hands and landing a double flip on a motorcycle. DefendTheHouse commented under the video that, in the process of filming, he and his teammates went on to win zero games.